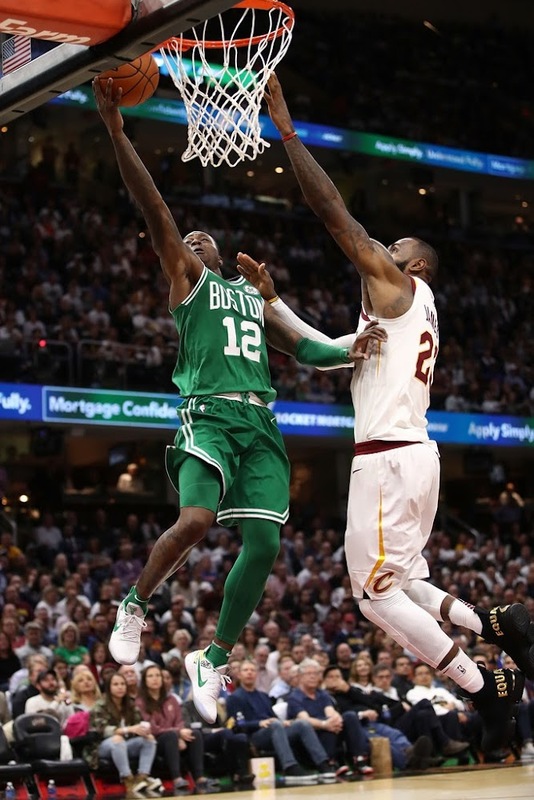 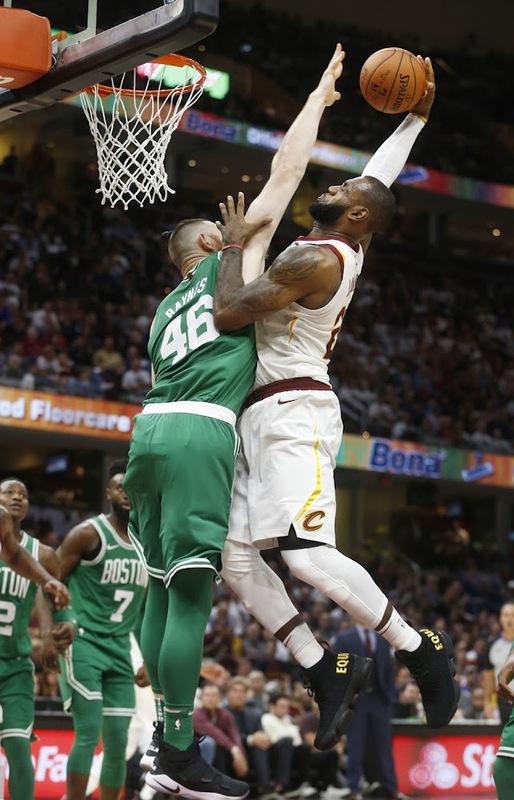 The anticipated season opener between the Cavs and Celtics was not JUST a regular season game. 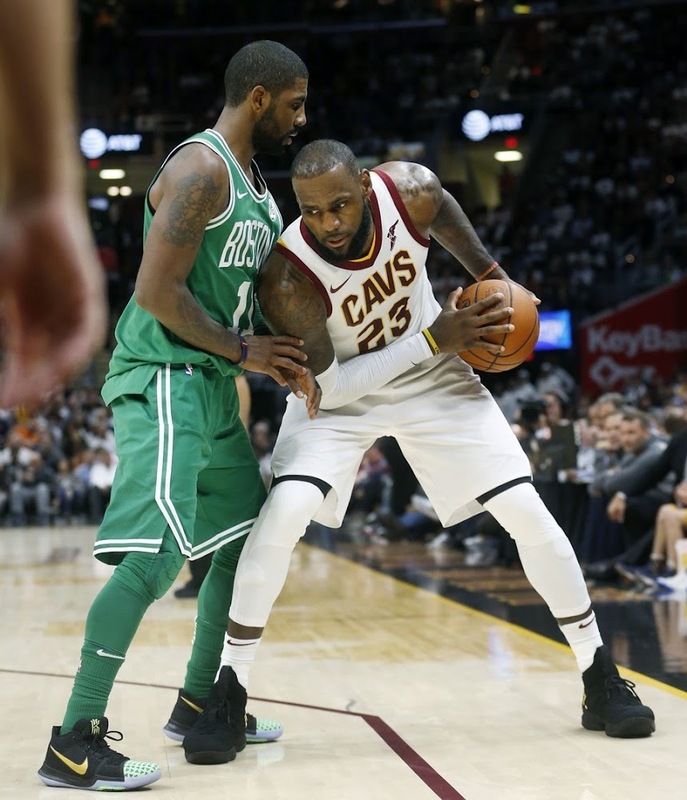 Kyrie Irving made its not-so-much-welcome return, but that wasn’t the main story that evening. 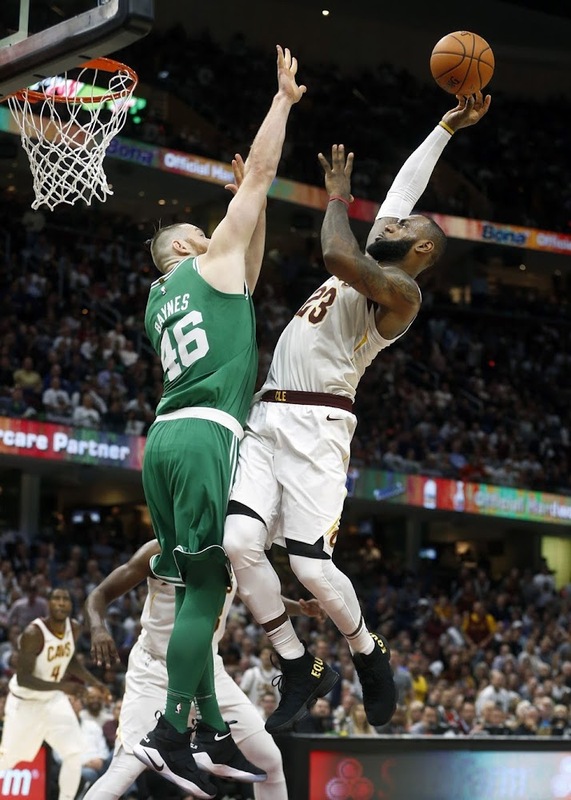 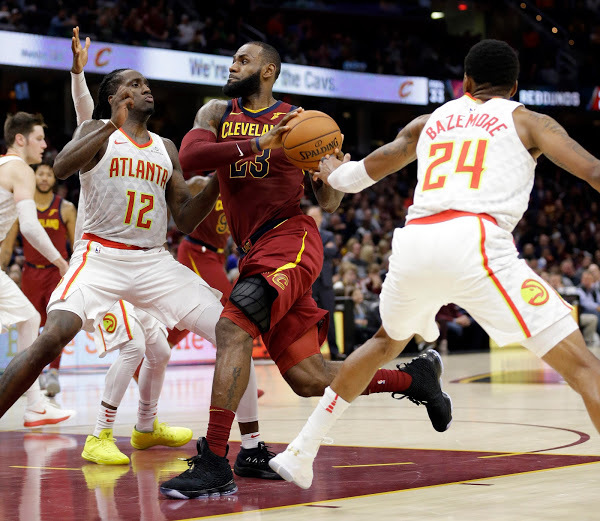 Gordon Hayward’s horrific injury overshadowed Irving’s return to Cleveland and re-directed Boston’s plans to close the gap between them and the Cavs, who rule the Eastern Conference nowadays. 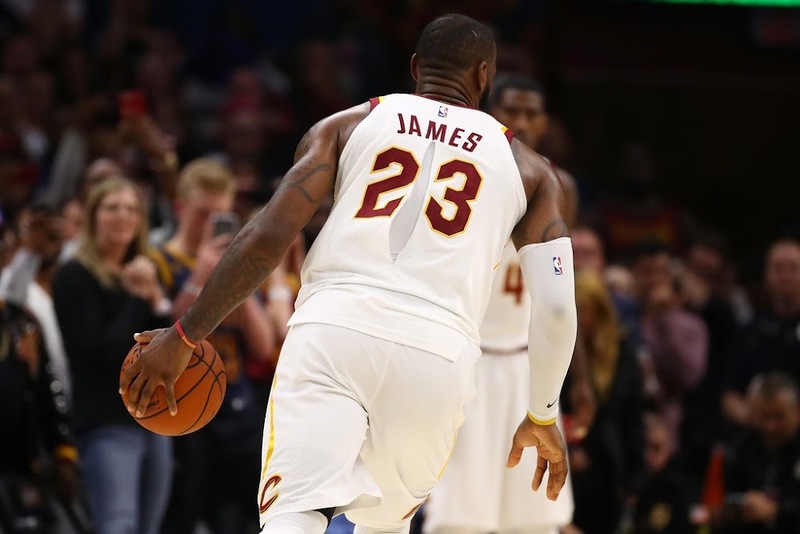 Fortunately for the Cavs, LeBron James was able to lace up and made a huge impact on the game. 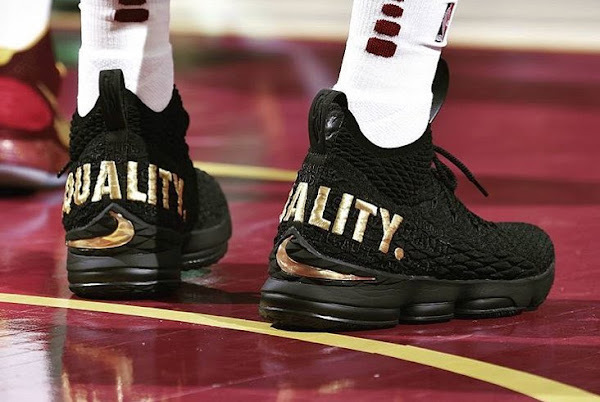 Not only with his plays, but also with a bold statement. 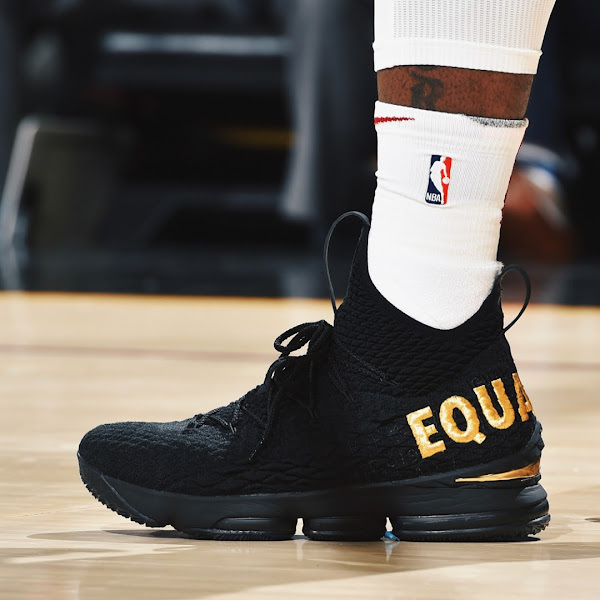 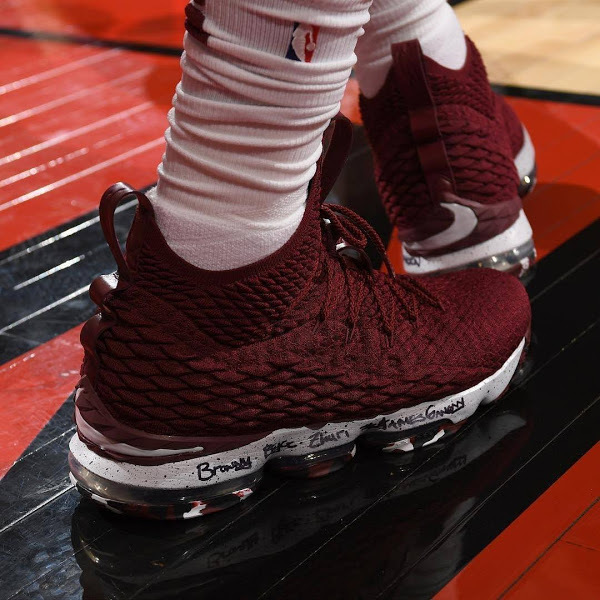 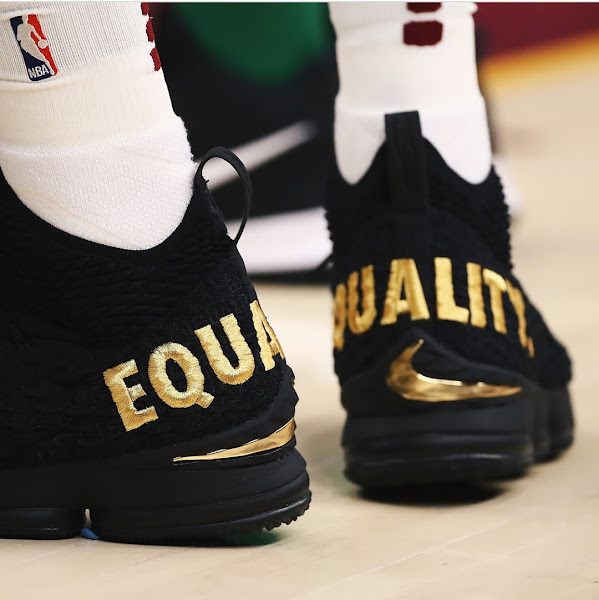 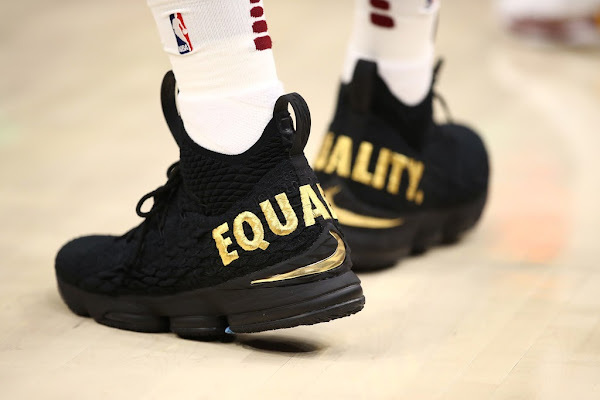 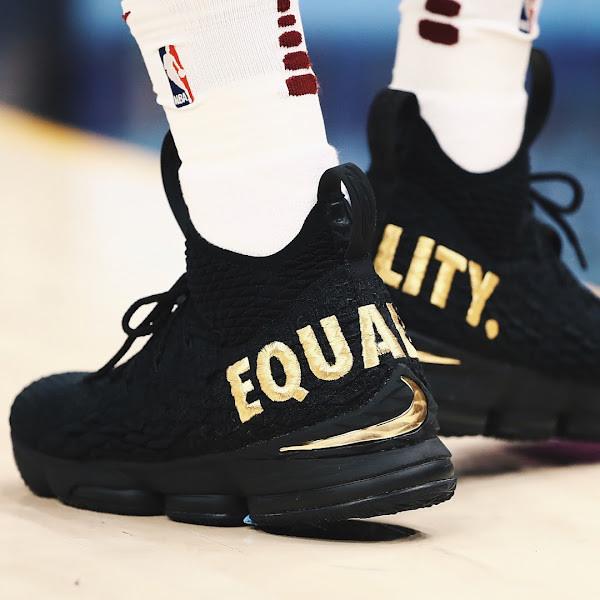 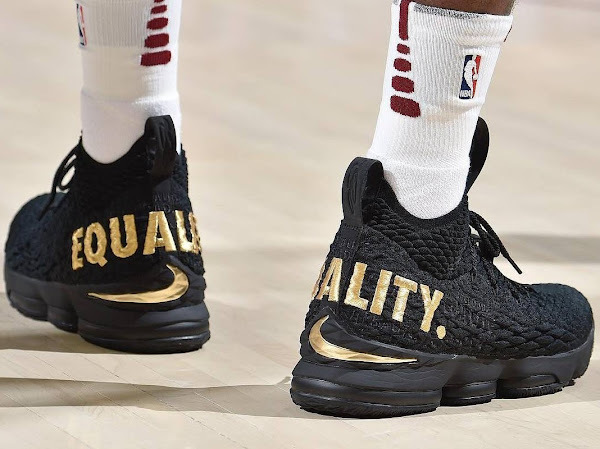 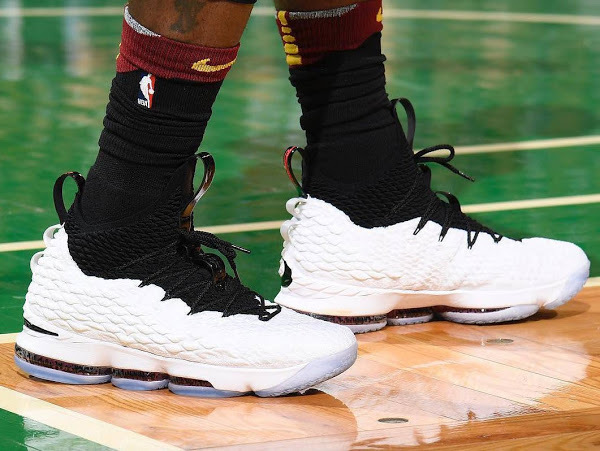 James chose to wear the Nike LeBron 15 PE with the word “Equality” stitched on the back heels. 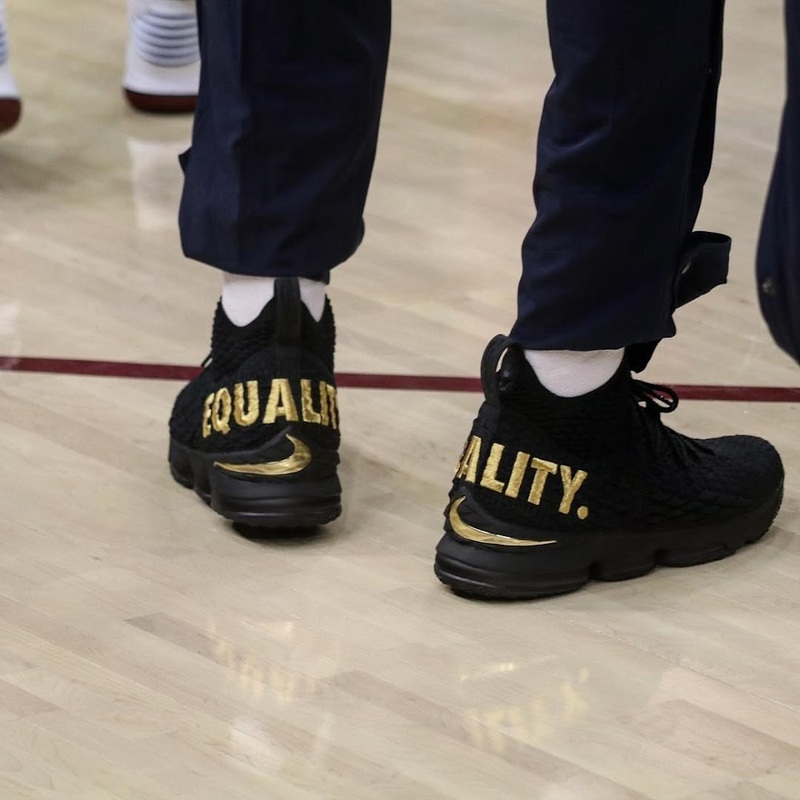 It’s another form of protest among star athletes ignited largely by President Trump saying last month that football players who take a knee during the national anthem should be fired. 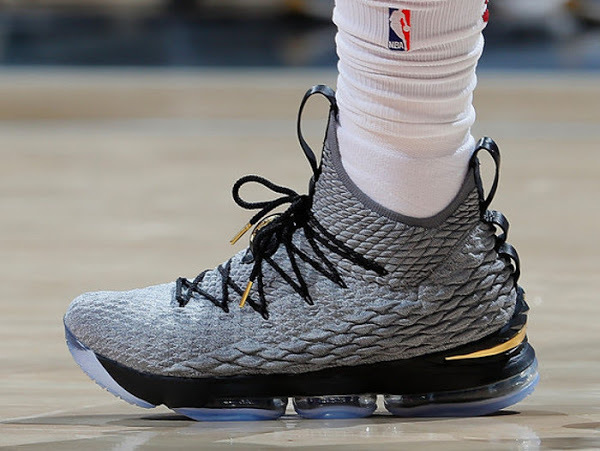 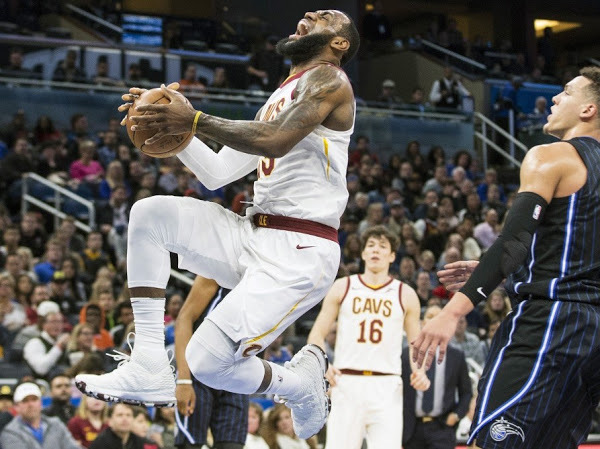 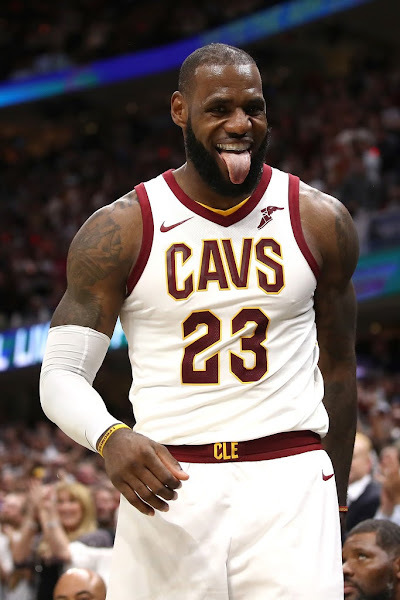 James scored 29 points – 13 in the fourth quarter – in his most extensive action in three weeks because of a sprained left ankle. 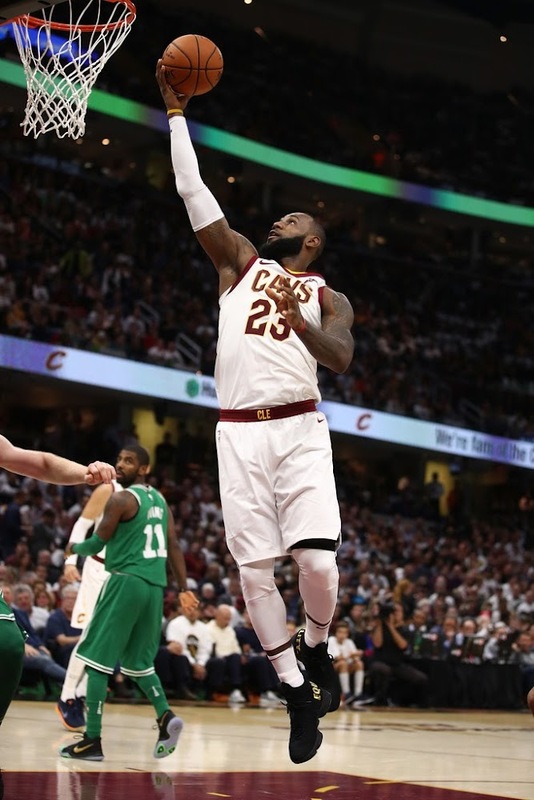 The Cavs withstood Boston’s heroic rally on a road to a 102-99 victory on Tuesday night.